Recently, when presenting the concept of a new export industry for Australia, I was asked to pause and take this question: "You mentioned an investment figure of hundreds of 'billions' of dollars. Did you mean to say hundreds of 'millions' of dollars?" Well no, what I said was right. Australia has before it the opportunity to provide its traditional energy customers – such as Japan and South Korea – with renewable energy in quantities similar to the fossil energy Australia has provided these trading partners for decades. In which case we are talking eventually about investments of hundreds of billions of dollars: in solar, wind and pumped hydro and in energy chemical manufacturing, storage, and transport. Massive investments indeed. Today, Japan and South Korea import 18% of all of their primary energy from Australia in the forms of fossil coal and gas. Although much has been written about the still-developing countries China and India, as highlighted at a recent Melbourne Energy Institute public seminar, it is Japan and South Korea that take 48% of all of Australia's fossil energy exports. One day those fossil fuel exports and imports will cease as Japan and South Korea continue to improve their energy productivity and expand their use of renewable energy. Some of that will be home-grown – renewable energy that Japan and South Korea can make for themselves. 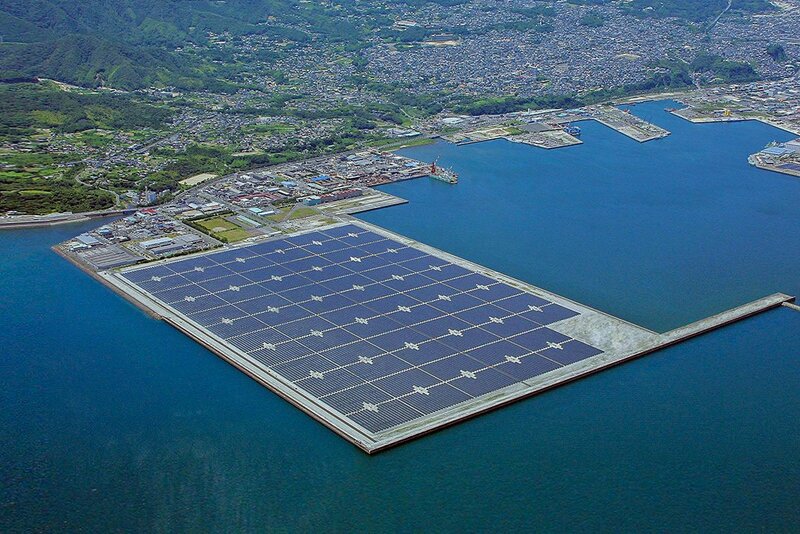 Already Japan is building impressive large-scale solar photovoltaic facilities out over the sea. However, these man-made solar islands illustrate the physical and economic limits Japan and South Korea face while recognising they will need to rely partly on renewable energy imports. But imports from where? Preferred will be imports from countries that have extensive renewable energy resources that can be harvested and transported at reasonable cost, that are politically stable, and that have long histories as reliable energy suppliers. In other words, countries like Australia. But how can renewable energy be exported 8000 km from Australia to northeast Asia? The concept of transmitting electricity via high-voltage undersea cables from northern Australia to southeast Asia has been described by others. However it is unlikely such connections will economically stretch as far north as Japan and South Korea. So in what other ways that Australia can export renewable energy? Adding value to things that Australia already exports – such as iron and other metals, foodstuffs, and forestry materials - is clearly a way to "export renewable energy" because energy is always needed for value-adding. And even when Australians use small amounts of renewable energy to do all of the other things that earn export dollars – such as tourism or education or financial services – these technically can also be counted as a form of renewable energy exports. However, these products alone will not consume the huge amounts of renewable energy that can be competitively produced on this continent, nor are those products aimed at meeting the future energy needs of our key trading partners. So what else is possible? 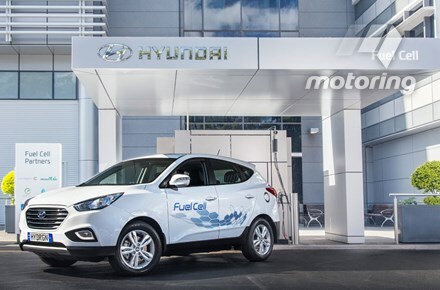 South Korea is in the game too, having just launched the first hybrid hydrogen/electric car for Australia in April this year, the Hyundai ix35, along with a solar-powered hydrogen refuelling station. This has spurred talk of a "Hume Highway by Hydrogen" linking eastern Australian cities. Around the world, recent hydrogen announcements abound, from Chinese hydrogen trams, to fleets of Canadian hydrogen forklifts, to FedEx hydrogen freight handling to Iowa hydrogen tractors. Japan considers its many years of research into hydrogen fuel cells to be a strategic advantage as all countries increase their use of greenhouse-gas-emission-free energy sources. Importantly, this hydrogen strategy is not only about displacing fossil fuels for transport. Japan also envisions using renewables-derived hydrogen in stationary fuel cells (providing distributed electricity and heat to buildings) and in conventional combustion gas turbines for large-scale electricity generation. As far back as the early 1900s, before fossil oil and gas became widely used as chemical precursors, hydrogen was made at large scale with renewable energy, for example using electricity from Norwegian hydro dams. The technique uses an electrolyser to separate water into its constituent elements: hydrogen and oxygen. Any form of renewable electricity can be used in electrolysis, including wind and solar. Research around the world and in Australia continues to aim at reducing the costs of electrolysis. So what are the barriers to a rapid transition to a "hydrogen society"? Unfortunately, hydrogen has a storage and transport problem. Being a very light gas (in fact, the lightest! ), hydrogen can be stored and transported but only at very high pressures, at very low temperatures, or after physically or chemically bonding it with something else. There are many potential ways around this barrier. At the University of Melbourne Energy Institute (MEI), we are researching the economics of chemically bonding hydrogen, prior to transport, with nitrogen (from the air) to form the widely-used chemical ammonia (formula NH3). Ammonia has many uses as a fertiliser, in minerals processing, as an agent to reduce air and water pollution, and in household cleaning agents. 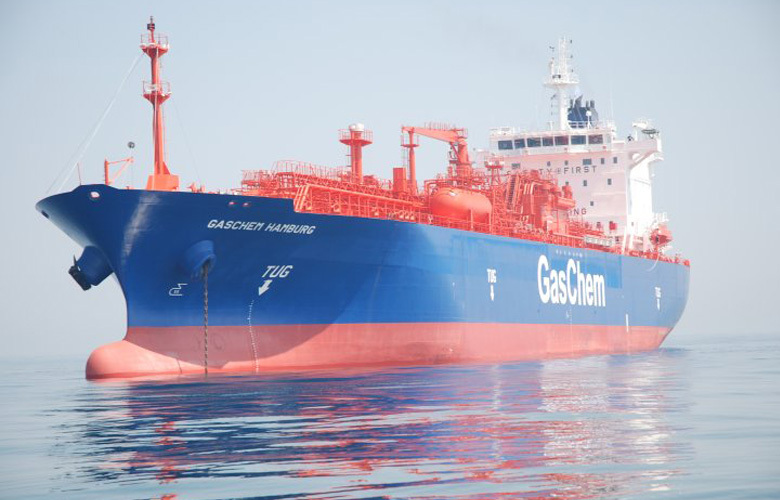 Key to solving the hydrogen storage and transport challenge is the fact that ammonia is an energy-dense hydrogen energy-carrier that can be economically transported in an ocean-going ship like liquefied petroleum gas (LPG). Upon arrival in Japan or South Korea, ammonia can be converted back into hydrogen (and nitrogen), thereby providing those countries with the non-polluting energy source upon which they are planning their future economies. The possible future scale of producing renewable energy chemicals in Australia is enormous. To imagine it one can mentally sum up all the investments that have made in Australia in coal, in liquefied natural gas (LNG), and that will be made in renewable energy to meet our own domestic energy needs, and more. Hundreds of billions of dollars indeed. At MEI, we think it is time to start planning how Australia can competitively meet the future renewable energy needs of our traditional energy customers. By Tim Forcey This article originally appeared on Climate Spectator on 4 June 2015. View the original here.